Also compatible for use with BioExplorer software. "The brain responds to exercise like a muscle; with regular brain exercise, activity increases in conjunction with demand for increased blood flow. As neuro connections are strengthened the brain actually grows larger and more efficient." Biofeedback is a process whereby people can learn to control many body processes which are otherwise not under conscious control. Hemoencephalography biofeedback, or HEG for short, applies this to cerebral blood oxygenation, allowing people to learn to control and increase the blood flow to the brain. 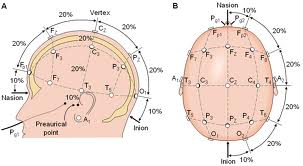 The measurement technology is known as functional near-infrared spectroscopy, or fNIRS. It operates very similarly to a pulse oximeter. It's an optical instrument, and works by measuring the color changes of the blood of the brain. Since oxygenated blood is bright red, whereas de-oxygenated blood is a deep, almost purplish crimson, blood color indicates oxygen saturation. Blood flow in the brain is controlled largely by demand: when neurons in a region of the brain use a burst of energy, blood flow to the area increases considerably, mostly in response to the carbon dioxide produced. The increased blood flow brings about 10 times as much oxygen as was consumed during the burst. This means that cerebral blood oxygenation is an indicator of metabolic activity. HEG neurofeedback is different from typical brain exercises in that HEG neurofeedback training targets brain areas (usually in the prefrontal cortex) that correspond with particular challenges. The prefrontal cortex (pfc) is involved with executive functions such as attention, organization and planning. You can think of the pfc as the captain of the ship and the rest of the brain as the crew. Typical placements across the forehead from F7 to F8 using the 10-20 system. Follow your oxygenated blood flow from the macro view all the way to the interior of the brain. Reward is forward motion. Fly through stunning landscapes with choices like the Grand Canyon, Lakes and Mountains, Four Seasons, etc. The Robot walks forward, climbs the ladder and slides. Make the ball continue through the track to catch the mouse in the finale.